Our event is nearly SOLD OUT! Online registration has closed due to limited seating remaining. To register, call (920) 921-9500. 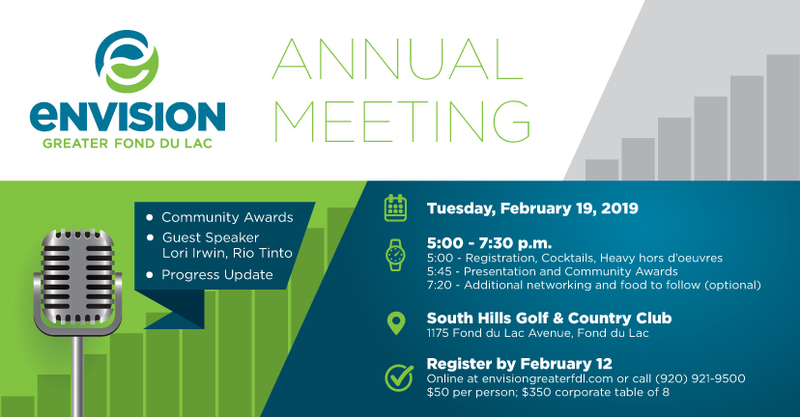 Join us on Tuesday, February 19 for Envision Greater Fond du Lac’s 2nd Annual Meeting! We’ll provide you with an update on our organization’s progress and wins from 2018. This year, we are excited to welcome Lori Irwin of Rio Tinto Group as our guest speaker for the event. Lori is the general manager of Human Resources in the Rio Tinto Group. She has more than 15 years domestic and international experience providing effective people solutions, leader coaching and talent management, in multiple brown and green field sites in both mining and processing. 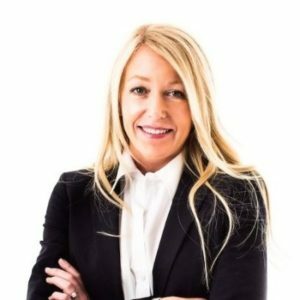 She has an excellent track record in collaborative team leadership, employee engagement, organizational design, recruiting and L&D and loves to share ideas on leader development, project and change management. Currently residing in California, Lori partners with senior leaders and their teams in mining, processing and M&A in the USA, Serbia and UK.